At Dr. Kochenour and Associates, we put our patients first, always. We want you and your family to know that we are always available to answer your questions, put to rest your concerns, and to help you achieve healthy smiles for a lifetime. Dr. William Kochenour, Dr. Dustin DeDomenico, and our team of compassionate, highly-trained orthodontic and dental care providers, offer personalized oral health care. We know that each of our patients has their own unique needs and goals. We are dedicated to working with them to develop the plan necessary to achieving their desired results. 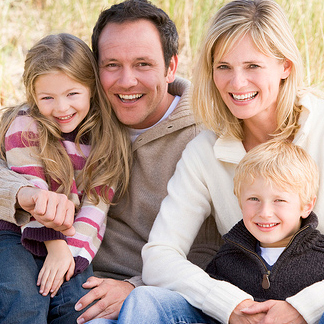 As a family-oriented practice, we encourage family participation in all aspects of a patient’s treatment. Together, we form a team that ensures a successful outcome, along the way developing friendships that extend beyond the treatment chair. Our state-of-the-art treatments, combined with the essential human connection, results in time-efficient, gentle, and effective orthodontic and dental care. We believe in treating patients the way we would want to be treated. That is, with respect, kindness, and empathy. This is true whether you have a minor orthodontic or dental need or a more intensive situation. At every appointment, we will talk with you about your treatment progress, what is going to happen next, and check with you to make sure that you are comfortable with how things are proceeding. Because we know that it can be difficult to make it to appointments in the middle of the day, we offer early morning appointments for middle school patients and late after school appointments. We also take a late lunch to accommodate our Adult Patients who may enjoy the convenience of being able to schedule their appointment during their lunch break. On Monday we are open later in the evening and we always have a doctor on-call should there be an emergency. For more information and to schedule a consultation/exam, please call our Countryside or Palm Harbor, FL office. Everyone here at Dr. Kochenour and Associates looks forward to meeting you and your family and helping you achieve the smile of your dreams.